Intracom Telecom SISC2 is a modular and scalable software integration platform for surveillance, collaboration, coordination and administration of diverse security and operations management related events. It is a comprehensive solution that gathers, processes, classifies and analyzes information received from several types of detection sensors and 3rd party applications to produce meaningful intelligence. 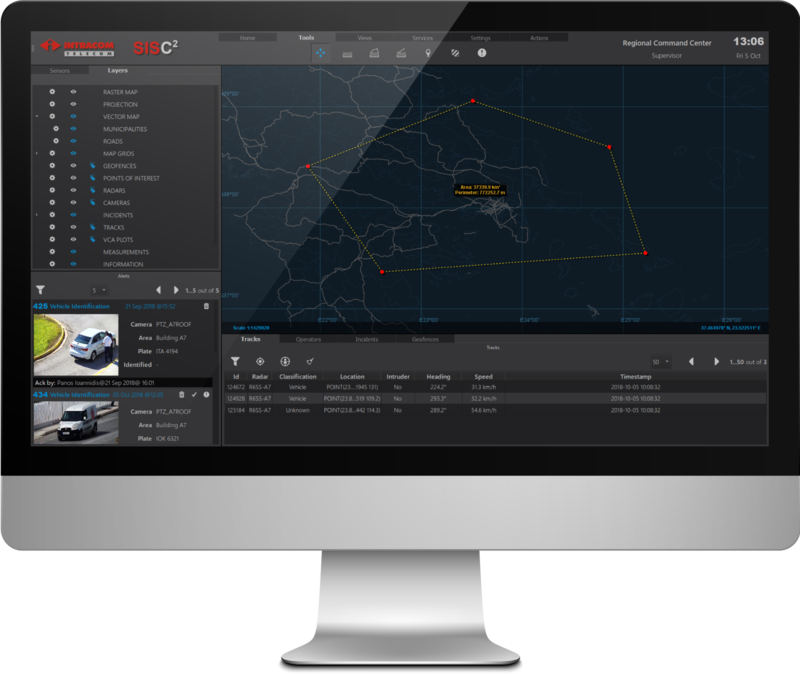 SISC2 platform maximizes detection efficiency and operational effectiveness and timely produces situational awareness. It augments and expedites the operators� decision making process by offering decision support and optimizing operation and back-office and mission plans managing available resources and tasks.